Newsletter, first published in 2002, contains the latest news and happenings from UC Libraries. It is in this spirit of transformation that we are changing the way in which we deliver Source to our readers. The online newsletter will still contain the latest information about the organization, people, places and happenings in UC Libraries, but will no longer be produced in print. By moving Source online, we are able to reach a greater number of readers on various devices – computers, phones, tablets and more. Cincinnati Subway and Street Improvements: your feedback needed! Have you used the Cincinnati Subway and Street Improvements collection yet? See digital.libraries.uc.edu/subway. You’ll find the story of the unfinished Cincinnati subway and a map showing the route the subway would have taken, linked to the photographs themselves. Please complete our brief survey to help the University of Cincinnati Libraries improve the support and delivery of digital collections and to plan future digital collections. Continue reading Cincinnati Subway and Street Improvements: your feedback needed! The University of Cincinnati Libraries have created a website and digital archive that provides access to the historic Cincinnati subway and street images, a collection of over 8,000 photographic negatives and prints taken as part of a failed subway development project in the 1920s, and photographs documenting various street projects from the 1930s through the 1950s. 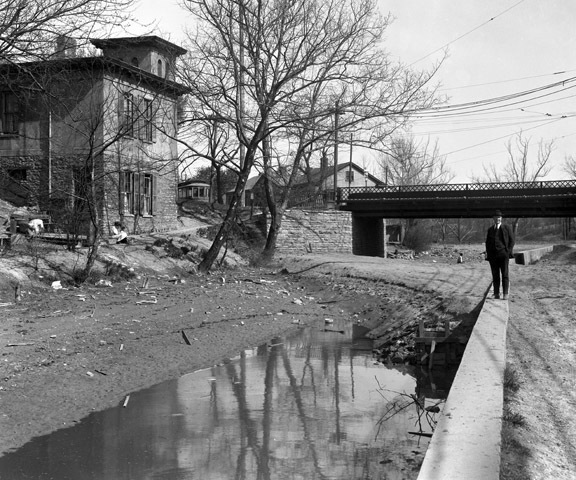 Available at http://digital.libraries.uc.edu/subway/, the “Cincinnati Subway and Street Improvements, 1916-1955” website includes construction images as well as both interior and exterior shots of private residences and city scenes. In addition to providing access to the historic prints and photographs, the website also documents the story of the failed subway project and includes a construction map with linked images. The primary task of the Rapid Transit Commission and the 1917 Bauer Bill (Senate Bill 264, which authorized the formation of a commission for the design and construction of a rapid transit system) was not the construction of the subway alone, but the construction of Central Parkway, the “grand boulevard” that was to replace the Miami & Erie Canal. The Commission was also tasked with the secondary subway project to ensure that the Parkway was built, since the one could not commence before the other was underway, a means of ensuring the success of both. When it was first proposed in a 1907 report, written by landscape architect George Kessler regarding the development of a city park system for Cincinnati, Central Parkway was meant to rival Boston’s Commonwealth Avenue and the grand boulevards of Europe, to be landscaped and lined by stately brownstones and mansions. Accented by decorative lampposts, fountains, trees and shrubbery, the new boulevard was to provide a park-like atmosphere for Cincinnatians, with sidewalks to stroll and benches on which to relax and enjoy the scenery of the Parkway as it wound its way north from Walnut Street in the downtown business district to Lundlow Avenue in the residential neighborhood of Clifton. A prominent figure in early Cincinnati history, Henry Probasco was both businessman and philanthropist, committing his time to numerous Cincinnati organizations and societies, accumulating a large personal library of rare books and manuscripts, as well as an extensive collection of prints and paintings, both rivaling the finest in the country, and dedicating two elaborate fountains to the citizens of Cincinnati in the late 1800s. Henry Probasco, along with his business partner and brother-in-law, Tyler Davidson, managed one of the most successful hardware companies in Cincinnati in the 1800’s – Tyler Davidson & Company. Probasco joined the business in 1835 as a clerk, and in 1840 was made a partner. The same year, he married Davidson’s half-sister, Julia. Together with Davidson, Probasco succeeded in expanding the business quickly, and by 1846, Tyler Davidson & Company was the largest hardware store in Cincinnati. In 1851, at Probasco’s suggestion, the partners built a new, multi-level structure on the site of the original store at 140-142 Main Street, between Second and Third Streets, and within three years, their sales quadrupled. Pearl Street, Water Street and Front Street were also located in this area, and ran parallel with Second Street to the north and the river to the south. The hardware store, Second, Front, Water, and Pearl Streets no longer exist; all have been replaced with I-71, Fort Washington Way, the Great American Ball Park and Paul Brown Stadium, among other attractions along the riverfront. After Tyler Davidson passed away in 1865, Henry Probasco sold the hardware business to former partner, William Lowry, in 1866. The building would have been located on the east (right) side of Main Street between Second and Third Streets, in the vicinity of the images above (Left: March 2, 1927; Right: July 8, 1927. The University of Cincinnati’s Archives and Rare Books Library (ARB) maintains numerous collections containing records of historic value for research and scholarly use. These materials are comprised of a variety formats, including printed documents, university records, sound recordings, and photographic prints and negatives. One of these collections is the Ohio Network collection, comprised of historic local government and public records. The City of Cincinnati Engineer Records is part of this collection, and contains records produced by the engineer’s office from 1851 through 1957, including those of the Rapid Transit Commission for the subway and Central Parkway construction, as well as other street improvements carried out by the city within the same timeframe. And among these records are the negatives and photographic prints that are currently being digitized and that will be made available online via the ARB and Digital Collections web sites. The subway and street improvements photograph collection is truly a wealth of historic information about the city of Cincinnati in the first half of the 20th century. As with most cities, many of the streets and avenues are named for the founders and prominent families who helped establish the city, as well as important statesmen such as presidents, governors and military heroes. Cincinnati has her fair share of these, with the city directories reading like a “Who’s Who” of Cincinnati’s political, cultural and economic development, with street names such as Ludlow, Symmes, and Patterson, St. Clair, Gamble and Ault, Anderson, Findlay and Wade, among others. Gamble Street, named for industrialist James Gamble, of Proctor & Gamble. 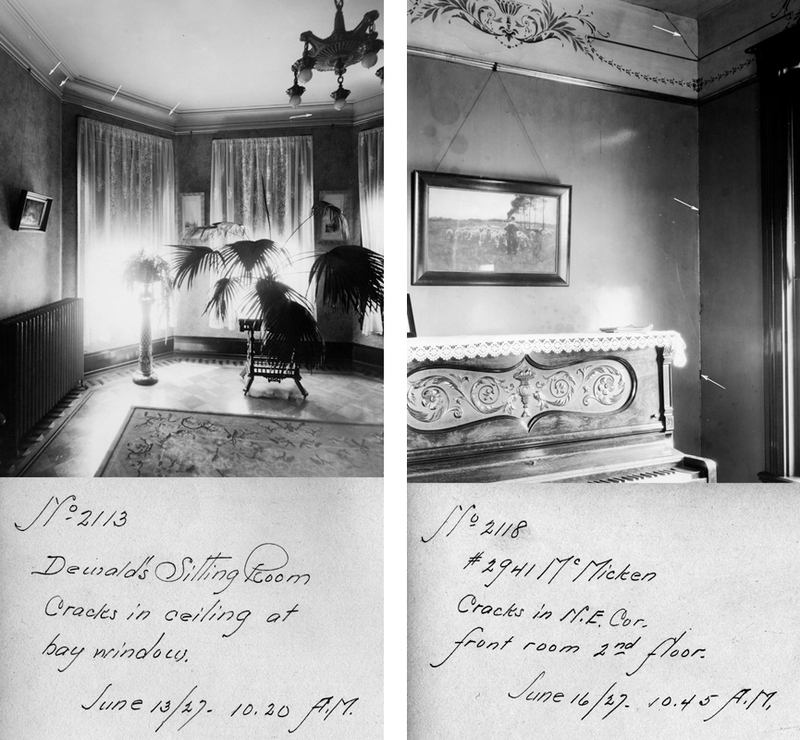 Contained within the subway portion of the photograph collection are images of the interiors of homes along McMicken Avenue taken during the construction of the subway. Originally intended to serve as evidence for claims by homeowners of structural damage to the houses caused by blasting for the subway tunnels, the pictures now serve as a historic reference of domestic life during the 1920s.